From the Warp: Timed turns for Warhammer 40k? Timed turns for Warhammer 40k? I stopped by my FLGS the other night to pick up some paint for my Drop Pod project I'm working on and it just so happens there was a Warmachine tournament going on. Now I don't know anything about Warmachine other than it generally uses fewer models in armies compared to 40k. What I did find interesting was that each player's turn was timed. They only had 10 minutes to complete their turn. Now I know that 40k tournaments usually have a time limit on the game itself, but I found the idea of timing each turn rather interesting. You don't have the luxury of deliberating for 15 minutes on what you think the best move is going to be. You need to be paying attention and you need to move with a purpose if you want to get done... in time. Don't know your army rules? It's going to cost you valuable time. Don't know the game rules? It's going to cost you valuable time. Don't have a plan? It's going to cost you valuable time. The more I think about timed turns, the more I like it. Maybe it's because I have such a small force. It doesn't take long to resolve the phases for 11 guys, two tanks and two dreads. I can see where people with much larger armies like Orks and Guard might have some trouble with timed turns but I think if you allow enough time and the player knows their force and the rules, it shouldn't be a problem. I may just try imposing the time limit on myself and see how that goes. If anything, moving faster through my turns will force me to think and plan faster and force my opponent to go faster since his turns will come up quicker. If he's not ready for it, it may cause him to make a careless mistake. Ten minutes seems like a good place to start. Think it's over the top or downright silly? If you want to get 5 turns in, you've got 12 min a turn. If you want to get 6 turns in, you've got 10 min a turn. If you want to get 7 turns in, you've got less than 8 min a turn. I have to say I agree and disagree with you on this point let me explain why. In recent tournaments I was forced to finish a game on turn 4 due to the other player taking a long time to move all his guys around (Ork) which in the end cost me the game since my turn 5 tactics couldn't spring into action. Same thing happened when our game was called at turn 4 to only have 20 min left and this made me spring my tactics a turn earlier because I feared we wouldn't see turn 5. Turns out we did get time for a turn 5 and it cost me the game again. So in this respect having a tighter time limit will allow the game to be played in full without messy endings. shuts the game down due to time restrains this I detest this immensely. Like the ork player mentioned in the previous example which measured the movement for every single guy. Just measure once and place the rest of the unit in normal coherency behind it. So in all I believe it is a good thing to put time restrains per turn however I can also see it spoil some games where for example large CC are being fought (which take time with all the wound allocation and such) effectively taking time someone might not even want to spend. So good plan but the execution might have some things that need some serious attention. It sounds like you were the vitim of a timed "game" and not a timed "turn." I bet he would have moved his Orks faster if he only had so much time for his individual turn... if wants to spend it all moving then that's his choice but it shouldn't affect the amount of time you have for your turns. I can see where having lots of models might make it problematic, but then again, you've got your opponent's time to look at your army and decide what you want to do come your turn. I think making the turns timed splits the "game time" evenly between the players and kills the tactic of dragging your feet to keep the game from moving along. Adepticon gives you 2 hours, they don't care how you spend it. Why not just allocate it evenly between the players and don't make the fast players suffer for those players who can't play within a time frame... whatever the reason or tactic they may be trying. Personally, I mentally keep track of how much time I take per turn, but it's usually more fluid. I know that my first two turns will take much less than my later turns due to reserves, fewer targets, etc, so if I am taking really long early on, I'll speed up. I haven't enforced it upon myself with a timer or stopwatch yet, but I am considering it... I'd probably start with ten as well, and similar to you I should be able to get everything in with my small army. I do hate stall tactics during timed matches. Worst: opponent would place his dice back in the little clear box after almost every roll and would spend minutes searching for one dropped die. He never had to use all of his dice, so missing one would have been no problem at all. Remember in Warmachine/Hordes, if it isn't your turn you have an alcohol marker not dice in your hands. You don't select causalities, make armor saves (barring a few things like tough, transfer of damage in Hordes), etc. Your main job is to track damage, which your opponent rolls the location for. This gives the inactive player the chance to watch and formulate. As such the "timed chess turn" format is very adaptable to those games. For fun games of 40k maybe, but when you start factoring in model pulling, majority toughness/armor save calculated after every squad fires, basically anything that generates an opposed or saved roll, the same problem can occur, with one guy chewing the other's time. Still a neat idea, if both sides are sporting about it. You've given me a great idea, Ron. I think now that every time I play larger armies (IG, Nids, etc) I'm going to bust out the Space Hulk timer. I'll use it to time every phase, to ensure it doesn't take too long. Even if my opponent doesn't agree with timing turns, I can time my own and keep myself on track. This will come especially handy at tournaments where the games are timed. You got a good point ron. Time is always a big problem in tournaments with people stalling because they are just slow or stalling because they want to. we have a 2hour and 15 minutes time frame for most tournaments here which includes the whole game and I have several games where it was not long enough. I usually make fast turns myslef (low model count and I like fast fluid games) but sometimes you just meet those really slow guys which give me so much time to work out what to do against his moves I can counter them before he is done making them. It's just not a challange that way and also results in boring games where you wait around for ages. So yes I would love some kind of time limit but I would like to know how you would enforce this in a tournament. Maybe give each player half the time and use a chess timer where it shows how much time you have used up? that way the faster players still get's his fair share of thinking time in the end of the game where it might be usefull and he can speed things up in the beginning. It's a good idea for you to impose it on your self. The thing with warmachine is that the whole game is based on knowledge of the rules so you have to know your army. If you know you rules the great but especialy for newer players we don't really need a time limit. I want to hear how this goes! If based on nothing else, the stall tactics and persistent bad sportsmanship during matches concerning the clock alone would dictate even, timed turns. Sure, 'horde' armies have more models, but it seems the stalling doesn't occur around the movement phase anyway. As long as the turns are fair and even (and ample enough to account for movement of multiple models, it should go far in evening the playing field during matches. Unfortunately I've seen firsthand that stalls and delays are perfectly viable army tactics in some players eyes. Timing sounds like a great thing to try out. Maybe go for 8 mins plus 30 seconds per 10 models? I see the problem with your opponent slowing you down in your turn, but it is no worse than before. Also in friendly games it's more a way to make things smoother. In the begining it can be ok to finish your turn even though the timer ran, more use it as a reminder than anything else. Because this is about two different things. Making the game flow, and about turnaments (i.e. "fairness"). Isnt one of the main issues this new form of "codex creep" we are seeing where units are getting cheaper so GW can sell more models, therefore armies are getting bigger for the same points value? Speaking as someone who played from the very first book (that didnt really know what it was) through to 3rd then went away a while I'm playing mostly 1k at the moment, and it feels like 1850 used to. If this is the way the game is going, maybe the tournaments need to drop in points to be able to impose a 2 hour limit. I can only imagine the "zerg" like possibilities the new nid codex is going to present. Personally, I am all for time limits on player turns....and I currently play Tyranids and I am starting an IG army. The reason for this is people slow play you in tournaments when they know your horde is going to table them in the next turn or two. This is very annoying, and can be the difference in a win versus a massacre...which could cost you the tournament. I know that the FLGS where I currently play is thinking of going to time player turns to eliminate the issue of players slow playing. We run timed turns for Flames of War, typically 10 minutes per turn. I have done this with my Russian infantry battalion (~80 stands) with no problem. Like 40K your opponent has to roll a ton of saves, that has never been a problem with the clock. I prefer timed turns to untimed turns. Timed turns sound really good. It would make the difference in me getting in four games rather than two or three on my gaming Satudays. I've played in a couple Warmachine tournaments like this, and the timed turns did not hinder the game terribly, even when I had 2x the models of my opponent. The problem is that WM and 40k/WHFB are structured very differently. Warmachine uses an activation model (like Space Hulk) instead of a phase model. If you run out of time in Warmachine you have models that have done nothing that turn. If you run out of time during the 40k shooting phase (for instance) you lose all your assaults. Timed Phases instead of turns perhaps. That way there is time to execute each step. it would be unfair for a player in a winning assault situation have thier opponent rune the clock out before he can return CC attacks. It would also simply not work with 40k rules to have a turn unfinished. So a time limit on each phase might be the way to go. I think there should be SOME kind of time control. The problem with breaking it down into phases is that not all armies need the same amount of time in each phase. I mean, my Daemons usually finish their shooting phase in a minute or less, but we need a bit more time in the assault phase. My Tau, on the other hand, have a decent move and a hell of a shooty phase. I think if you're going to break it into turns, each player should have a time pool for turns alone. Earlier turns may take more time, but later turns are likely to go faster. I mean, if 1/3 to 1/2 of your army is DEAD by turn 4-5 and you're both beating each other senseless with the remains, you don't need the same amount of time for moving stuff, now do you? Still, I've seen folks stall, and I've seen games called early just because of the time issue. I think it might help to also just call a total turn limit; but that also impacts folks who play fast vs. folks who don't. It's a rough issue, I'll admit. The ideal solution would disincentivize stalling as a means of victory, I know that much. One thing that you might want to think about is that in a Warmachine/Hordes tournament the games are also timed. So in the case of the one that you watched you have 10 minute timed turns but you also have 60 minutes to complete the game. So if everyone takes their full 10 minutes each turn you will only get to turn 3. Yes there are fewer models and not as many special rules disputes in Warmachine/Hordes, but I can’t see any reason why you couldn’t have timed turns in 40k. Like others have said you will need to take into consideration the differences in the army types. But if you are planning on going to a tournament then you should know your rules and your army well enough that you shouldn’t have to keep thumbing through your codex to look up wording of rules. Shoot the 40k rule book says that if you can’t agree on something dice it off and move forward. I think that timed turns in a 40k game is completely doable. 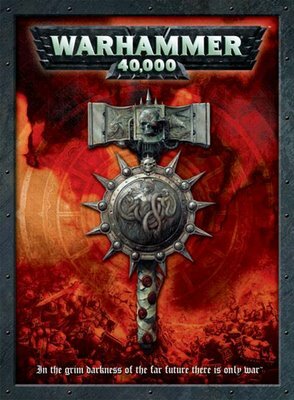 One thing to consider, as others have pointed out, is that 40k has events that occur during a players turn that aren't controlled by that player such as rolling saves and close combat attacks. As one person pointed out, if the time ends after I've started an assault and gotten some attacks but you haven't counter attacked, do you lose those? I think a better solution is something like chess clocks. When it is a player's turn to be acting, his/her clock is running. When its time for the opponent to roll saves, or return close combat attacks, their clock is running. If the game is scheduled for 2 hours, then each player's clock is set at 60 minutes. The only question left to decide is what the penalty is for running out of time. In a game like chess its easy, you lose. In 40k, losing may be harsh. Perhaps you can enforce a loss on time, but set each player's clock at 70 minutes instead of 60. That way the game could still play out fully inside 2 hours, and only if it ran over 2 hours would a team be at danger of timing out. Perhaps a player is just penalized victory conditions, scores, or whatever is being used to determine the outcome of the match. In a tournament you could even penalize them for their next game, such as an army point penalty proportional to the time they go over. Sorry for the wall of text. Basically I agree that tournament play shouldn't be timed without distributing the time evenly between the players. There is way too much potential for abuse in a system like that. FalconGK81: I like that idea... give each player a set amount of time. That way they can use any amount they want out of there total alloted time. Need a long turn, no problem, got a quick turn of just some movement... no problem. I really like that idea.